Main trailer and poster added for movie “Smartphone o Otoshita dake nanoni” starring Keiko Kitagawa and Yudai Chiba. Movie is based on novel “Sumaho o Otoshita dake ” by Akira Shiga and directed by Hideo Nakata. Meanwhile, the trailer reveals the movie’s theme song which is “Himitsu” by rock band Polkadot Stingray. 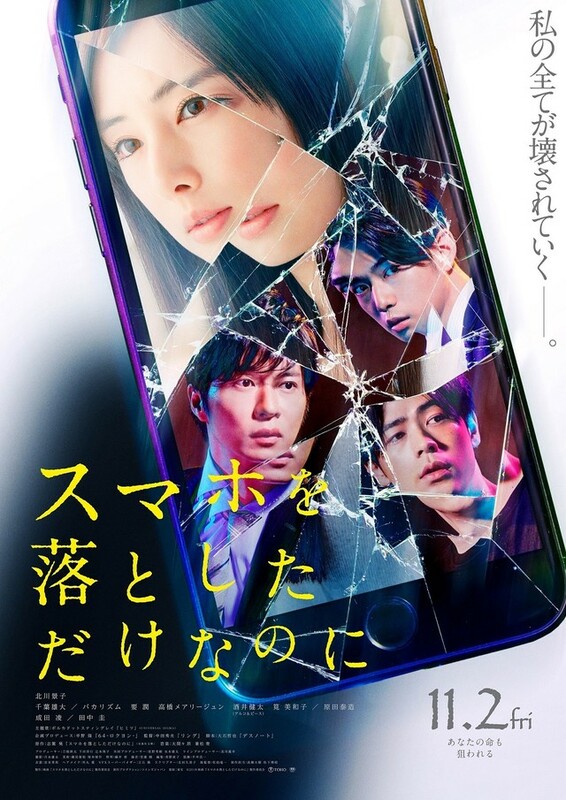 The trailer starts with captions in Japanese that states “The existence which knows everything about you is the smartphone.” Movie tells the story of a woman who loses her smartphone. “Smartphone o Otoshita dake nanoni” opens November 2, 2018 in Japan.